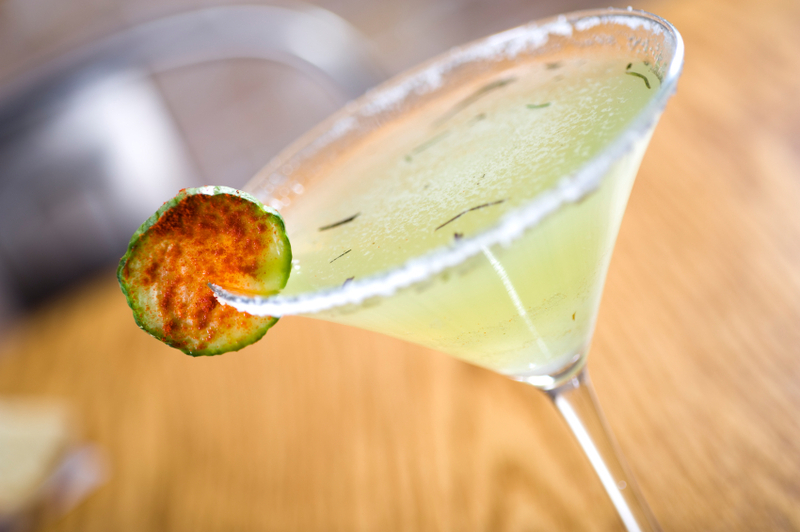 Once you learn how to make a Martini, a world of possibilities is at your fingertips. This concoction is easy to make, and the original recipe can be modified in a number of ways. The ingredients are simple: gin and dry white vermouth. It is best to choose high quality gin that has hints of juniper. A shaker and strainer are helpful whether you prefer to shake or stir the ingredients. The popular garnish for the cocktail is an olive pierced with a cocktail pick, but some people use a twist of lemon. The drink is served in a cocktail glass that's commonly referred to as a Martini glass. Chill the cocktail glass before preparing the ingredients. Pour ice into a shaker or mixing glass, filling it about halfway. Add the gin and vermouth. If you want to make a traditional Martini, simply stir the ingredients and strain them into a chilled cocktail glass. Stirring blends and yields a clear drink. Shaking the ingredients emulsifies them; this creates a slightly colder and cloudier cocktail. Martinis are served cold, and while some may prefer the drink on the rocks, the cocktail is traditionally served straight up. Whether shaken, stirred, dry or extra dry, the Martini is a true classic that can be adjusted to suit nearly any taste. For example, many people replace gin with vodka. Now that you know how to make a Martini, it's time to try other variations. Begin by learning how to make a dirty Martini.